28.3.96 compl. 28.3.96 for Harmstorf as Aries (reg. Leer), and immed. r/n Nedlloyd Corsica for Nedlloyd charter. 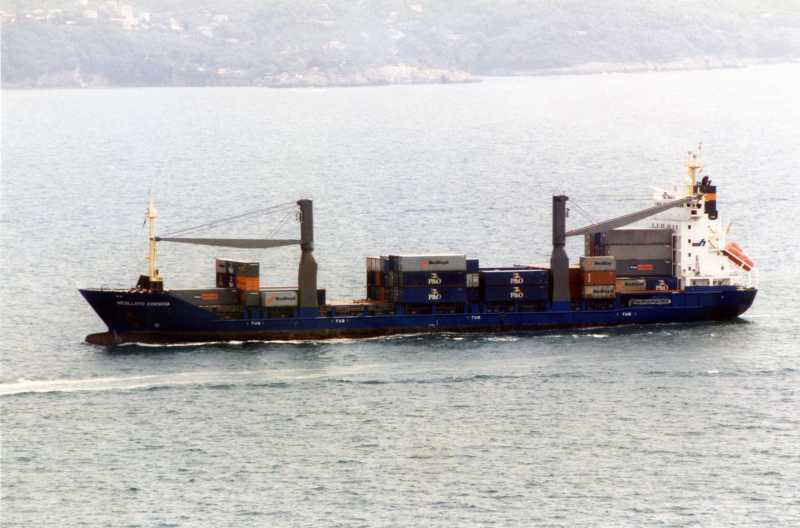 Late 1998 P&O-prefix added when charter subsumed by P&O Nedlloyd. 2002 now under Liberian flag and reverted to Aries. 2004 sold to other German owners Hannes C.
2009 sold and r/n MCL Antwerpen and re-sold in 2012 and r/n Norwave.